Game description: Explore the dark psychology of killing for a living as you delve into the mind of a ruthless and efficient contract killer. 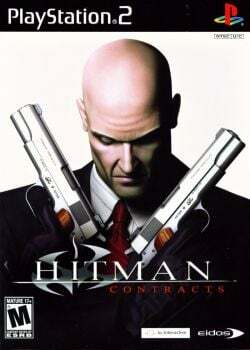 Hitman: Contracts delivers more action-packed missions that require you to eliminate targets from England to China. Now you have a greater variety of ways to make the perfect hit and an increased arsenal of firearms and close-combat weapons at your disposal. Pick up objects like meat hooks, pool cues, shovels, and pillows to use as weapons, and then admire your "work" showcased in brutal detail. In Hitman: Contracts, gameplay centers around the exploits of a hitman, Agent 47, as he is sent to various locations to assassinate targets. An array of weapons can be used, from kitchen knives to belt-fed machine guns. While stealth and subterfuge is encouraged, the game allows the player to take a more violent approach and gunfight their way to their mission goals. As players progress through the game, they can collect the various armaments found in the levels, allowing them to be used in future missions. Aside from the more straightforward ways of killing targets such as gunplay and strangulation, several missions allow the player more subtle ways to eliminate hits, such as judicious use of poison, or arranging "accidents" like a heat-induced heart attack inside a sauna. Europe v02.00(14/06/2004), INTC, Wait Loop Detection, microVU and MTVU, Nothing, Game was tested using the 4GB patch., Graphic glitches: main menu shows just a grey screen, ghosting on some parts and in certain camera angles there are borders that cover the screen, but nothing too serious. USA v02.20(10/02/2006), Status unchanged the game not advanced after the menu,can freeze and yet at full screen can hang the own runner computer,tested as many possibilities,Zero gs show a little more secure but still freeze in menu.Its slow in menu also a little. This page was last edited on 16 June 2018, at 19:37.